Yeah, yeah, if you blinked you missed it. By now you’ve probably heard that Facebook made a weak tweak to its corporate logo yesterday. Buh-bye, boring Klavika. Hello, even more plain Jane lettering. The logo's letters thinned out, the vowels grew rounder and the “a” lost its bold overhang flourish. Basically, Big Brother Blue’s logo typeface got even more basic. The underwhelming refresh -- the first change to the generic wordmark since its creation in 2005 -- is so slight, you probably didn’t even notice it. In case you’re wondering, the update didn’t affect Facebook’s iconic favicon, its solo letter “f” logo. Hold the freakout, it will remain the same. For its part, Facebook isn’t saying if the goal of the mild refresh was to make the logo easier to read on smartphones and tablets. The Menlo Park, Calif.-based social media giant is drumming the friendlier overall beat. Now that “The Facebook” is all grown up -- it certainly is at 1.44 billion monthly users per month strong -- the company is hungry for yet more users across the globe, specifically the 4.4 billion still-unconnected people in far flung corners of the world that it aims to hook on social media through its ambitious Internet.org initiative. Facebook also told Entrepreneur that the new logo will grace its corporate signage at all of the company’s offices and “anywhere that represents Facebook, Inc., or our family of apps and services, which includes Instagram, WhatsApp, Messenger, and Oculus.” Better get used to the new look, people. It’s about to be everywhere. So far, reactions to the leaner logo on Twitter are mixed, though nowhere near as pointed as reactions to Spotify’s recent logo color tweak. Not yet. Give ‘em time. 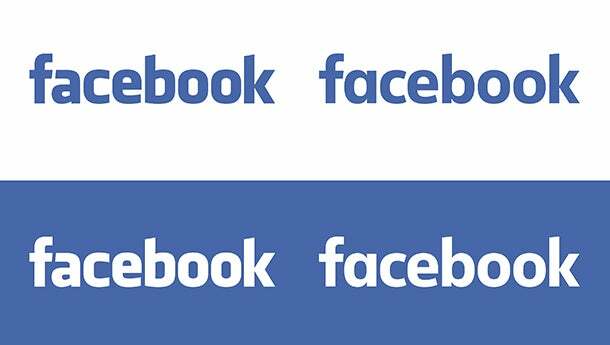 For now, it seems people simply either love Facebook’s new logo or, meh, kind of don't dig it. You know what they say: “You can please some of the people all of the time, you can please all of the people some of the time, but you can’t please all of the people all of the time.” Especially not 1.44 billion of them.
.@ChrisTauziet I didn't think somebody could strip more personality out of Facebook. Amazing feat. @ChrisTauziet I liked how the double-storey "a" lined with the "f"... but the notable changes to "a" "b" give more balance... Overall ?